If you happen to be passing through Gloucestershire on the 26th of October why not make a diversion and bring your kids to Tewkesbury Museum for a Roman Day. 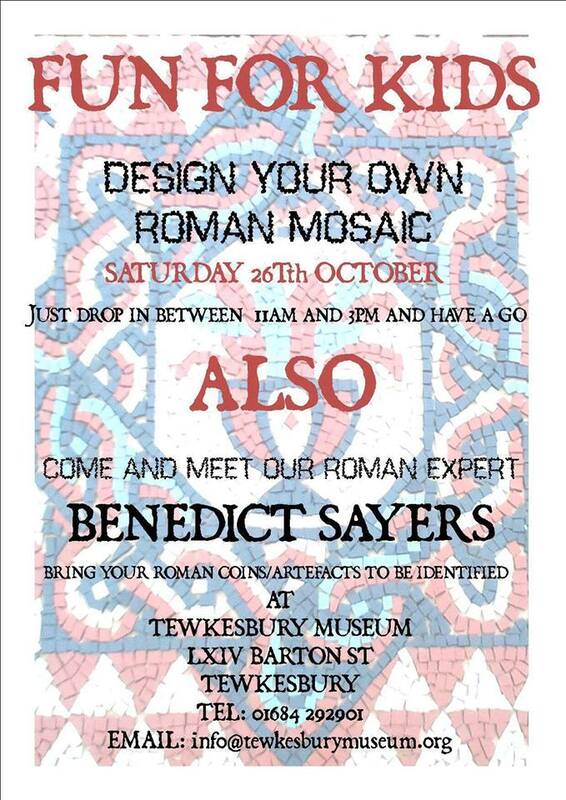 From 11-3 the Museum and myself will be hosting a day of designing mosaics and exploring how the Romans made theirs. I’ll also be on hand to identify any Roman coins and artefacts that you may wish to bring in as well as try to answer any Roman questions you may have.